Every time I visit a new place, I always have a list as long as my arm of new beauty bits I want to try. Tokyo was no exception and I got stuck straight in shopping along the streets of Japan. I first picked up a lot of Japanese sweets and snacks; flavoured Kit Kats were priority on my shopping list, I came home with two types of Strawberry and Matcha, milk sake flavour and classic original. As for beauty finds, I headed straight to a department store in search for SK-II. I have read about their essence and just had to get one for myself. 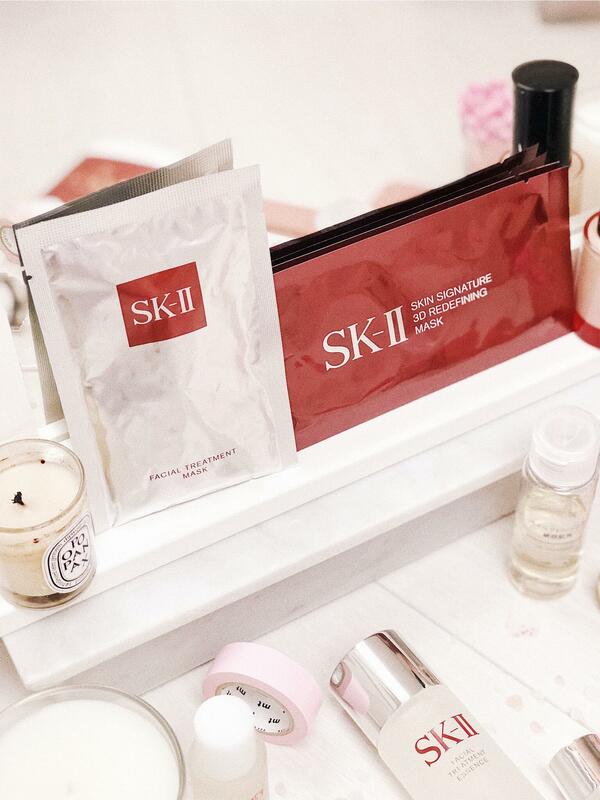 SK-II is known for their high prices but powerful products, so buying their products within their home origin made things a lot more affordable. From SK-II I picked up the Pitera Essence set, which includes their facial treatment clear lotion, essence and treatment mask. 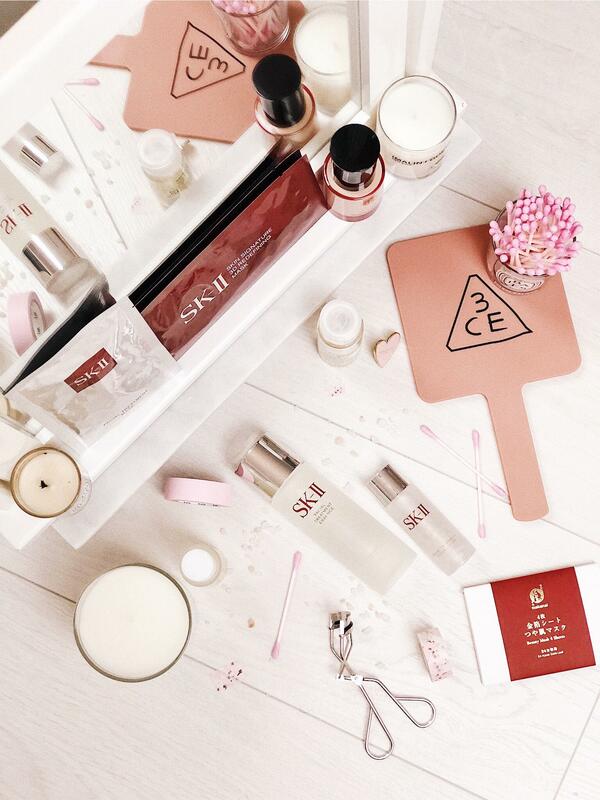 The Pitera Essence set is a combination of SK-II bestsellers and retails for $99, which is roughly £69. I will have a full review of the SK-II products soon once I’ve tried them out. I was also on the hunt for a good cleansing oil because I left mine back in the UK, I came across the cleansing oil from Muji and brought a trial size, so far so good, but I’m not 100% sure on the ingredients it has init. I may not buy this again for the face I can’t seem to find out what ingredients it has in it and I’m very cautious with what ingredients I use these days. As for makeup, I picked up a bottle of the Koh Gen Do aqua foundation. The shade range was very limited and I ended up picking a shade that is very pink. I will do a full review on this soon, its still on trial. A few extra pieces I got were some pink cotton buds because why not and some washi tape in various shades and pattens. Be sure to follow me on Instagram –What Lucy Loves– to see updated reviews of all these products.